From the consultation stage to the installation of your new custom made shades, you'll experience excellence every step of the way. 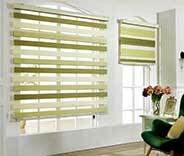 Looking for new blinds and shades for your home or office? Good news. Your search is over! The reliability of our blinds and shades is one of our greatest prides. 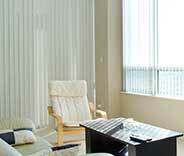 Your new custom made window treatments will be installed by experts with over a decade of experience. The choice is up to you. Take a look at the window covering products below to learn more about them and see if they suit your needs and preferences. Layered shades provide simple-to-use versatility and unique looking décor contributions, as well as excellent UV protection. Click here to learn more about these window coverings. The insulating qualities of cellular shades are hard to beat. Couple that with noise reduction and UV protection, and you’ve got window coverings that offer a lot of benefits. Read more here. These unique window coverings offer a hybrid light control option, utilizing both vanes and a flat fabric backdrop. Click here to learn more about sheer shades. Without a doubt, Roman shades are some of the best looking window treatments available today. Their easy customizability makes them suitable for virtually all types of décor. Read more here. Light filtering roller shades are an affordable and effective window covering option that offers a simple way to control natural lighting and privacy in any room. Learn more here. With motorized shades, your property will look and feel smarter than ever. No need for manual adjustments. Control your window coverings remotely and have them open and close automatically. Learn more here. If you’re looking for window shades or blinds for your office, restaurant, clinic or some other type of commercial establishment, contacting us is your best course of action. Learn more here. 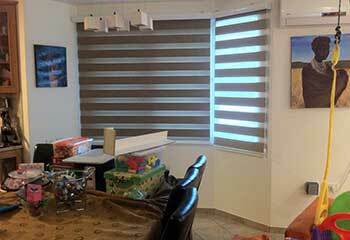 People may not always realize it, but blinds and shades can have a major influence on the look and feel of a room. Window treatments can be a major eyesore that sticks out, or a great way to complement the interior décor around them. Of course, deciding which type and style works best for your Placentia property can be difficult sometimes, especially considering how many options are available today. With help from Yorba Linda Blinds & Shades, though, this process will be easy and simple. Why? Let us explain. You won’t have to drive to us, one of our experts will happily come to your Chino Hills home or your Brea office and sit down with you. During this consultation appointment (did we mention it’s free?) you’ll be presented with a wide range of options, and we’ll discuss your needs, to make sure your new window coverings match not only your interior décor, but your budget as well. 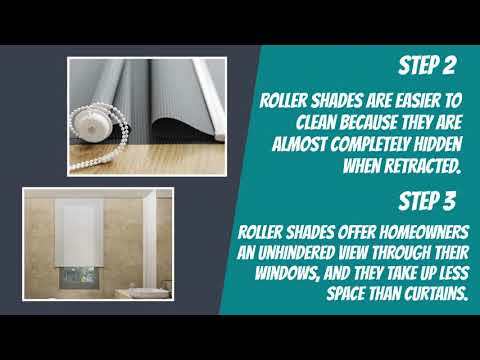 From simple and elegant roller shades to beautiful faux wood blinds that – some might say – are even better than the real thing, given their minimal maintenance requirements. With our help and guidance, the new blinds and shades you choose will be exactly what you’re looking for. Every home or business owner has different needs. That’s true whether you live near Fullerton, somewhere nearby, or really anywhere else in California, not to mention – the world. It’s therefore important that you don’t just a mediocre product that usually does the job, most days, but custom made shades that’ll do what you want them to do, every day, every time. Because Yorba Linda Blinds & Shades only works with high quality materials, any product you get from us comes with a warranty that demonstrates our confidence that it will last for a long time. Want to add décor to your living room with pleated sheer Roman shades? That’s a readily available option. Want to automate the windows of your Anaheim office by having motorized shades that you can open and close with your smartphone? Nothing says modernity more than that. 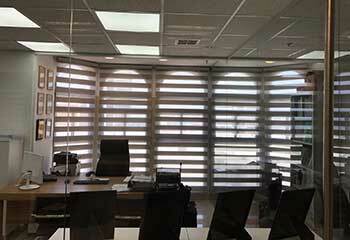 In fact, when it comes to electric blinds and shades, the variety is even more extensive. Most window coverings can be motorized, including drapes and curtains. But that’s not where the options end, that’s where they begin. You can have battery powered blinds that operate independently of your main power grid, or even solar powered shades that exploit the oh-so-available sun energy to power themselves. Yorba Linda Blinds & Shades uses products made by major brands such as Lutron and Somfy to bring you the high-tech automation you deserve. 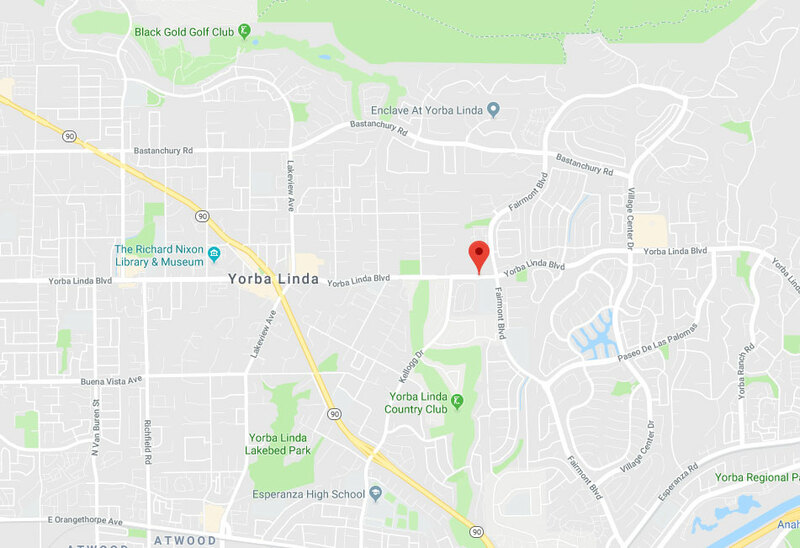 It doesn’t matter if you live or work in Orange or somewhere nearby, Yorba Linda Blinds & Shades is the company to call when you want new window treatments that provide beauty and utility, for an affordable price. Give us a call or use our online system to book a free consultation appointment today. 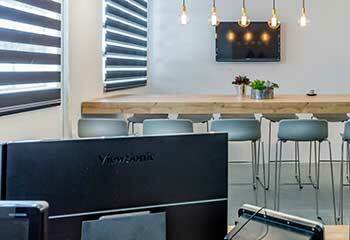 Our design experts guarantee your complete satisfaction! When you are looking for affordable blinds and shades at a reasonable price, our design experts in Yorba Linda is the team to call. Add distinction and value to your home or office with our excellent selection of window coverings by scheduling your free consultation today. Just click the schedule now button below. Have the best blinds designed for your needs! See how we were able to help these customers with their blinds in our latest projects. Some window coverings have can look more unique than others. Layered shades, in particular, offer a very contemporary vibe. Read more here. The simplicity of roller shades makes them excellent for virtually any room. Coupled with a motor, there’s no beating their elegance. Vinyl blinds are a very low maintenance window treatment option, which is one of the reasons why this customer chose them. Our wooden blinds added a warm feeling to our home and they also perfectly match our furniture. You did a great job from the free consultation to the end result. We are very happy with our dining room aluminum blinds. You did a great job helping us with your free consultation up to the installation. Great, affordable service! It’s great to have exterior shades that allow us to add more seating to our restaurant. It was marvelous working with such professionals. With years of experience in the field, there’s no better experts to trust than ours! You’ll have the help of professionals to decide on the best fit for whatever your needs may be when it comes to window coverings, including free consultations and color sampling. It’s never been simpler! You can find out much more by browsing our site here. Thank you for choosing Yorba Linda Blinds & Shades! Feel free to browse our website for more useful information until our appointment!